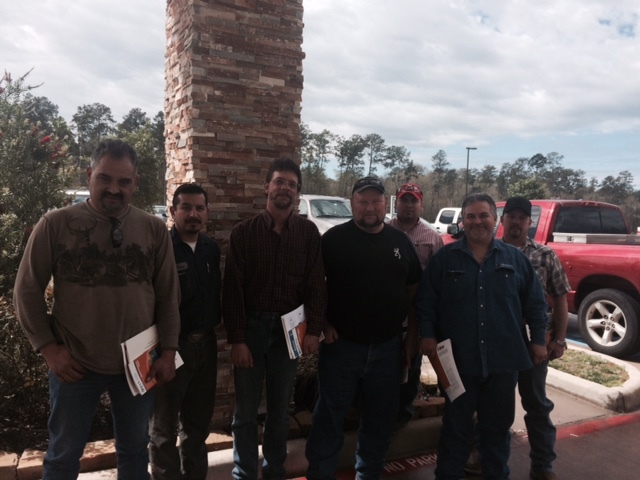 Our Supervisor’s have the greatest responsibility and accountability because they work together with our employees. The Supervisor is the one person who can take immediate action to ensure their work area is safe. Safety is planned and managed just like productivity and quality. I appreciate all the time and effort our Supervisors put in to make Trinity Steel a safer place. 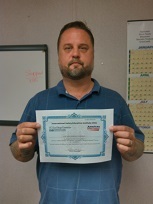 Craig Draughan Operations Materials Manager received OSHA Certificate. Completed OSHA 30 hour safety training course. This course provides complete information on OSHA compliance issues. Judie Glawson, Trinity Steel Fabricator’s safety coordinator, has completed her first step towards the Certified Safety & Health Official (CSHO). The CSHO course offered by the Texas A&M Engineering Extension Service is an industry recognized program that requires over 260 hours of coursework. Judie has completed the first 15 hour course in accident investigation techniques and expected to complete the remainder of the coursework over the next several years. 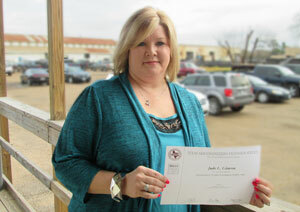 We look forward to Judie applying her new knowledge and keeping our facilities safe everyday. Trinity Steel Saves the Day! Construction problems happen. 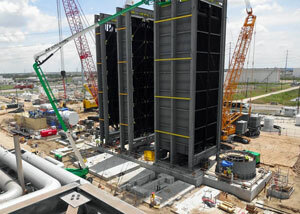 After a structural steel collapse during construction at a power facility near Deer Park, Texas left the project manager in need of steel fast, Trinity Steel was ready to step in and use its industry relations and fabrication expertise to get them back up and running. Placing the project on a fast track, Trinity was able to fabricate a 80 tons of steel and deliver it to the job site in less than two weeks, minimizing the impact to the overall construction schedule. 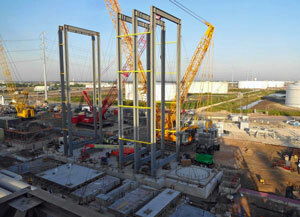 | Comments Off on Trinity Steel Saves the Day! 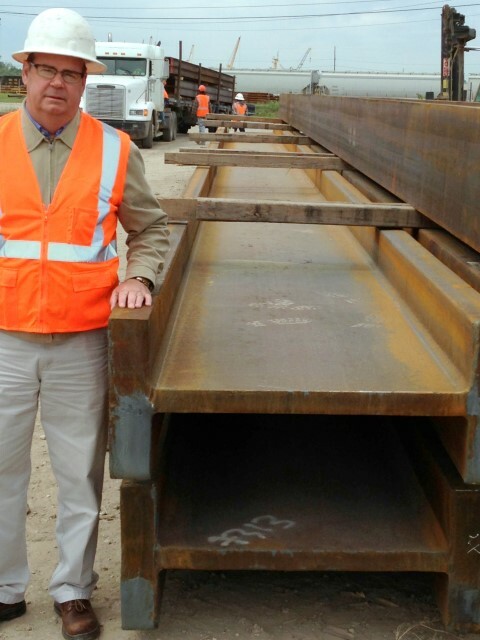 Bruce Kenner, number one Trinity Steel salesman for 18 consecutive months, does double duty as a logistics manager and quality control inspector as he meets our recent shipment of steel from ArcelorMittal in Europe. The wide flange beam Bruce has his hand on weighs approximately 50,000 lbs. and is over 60 feet in length. Bruce says everything is A-OK!